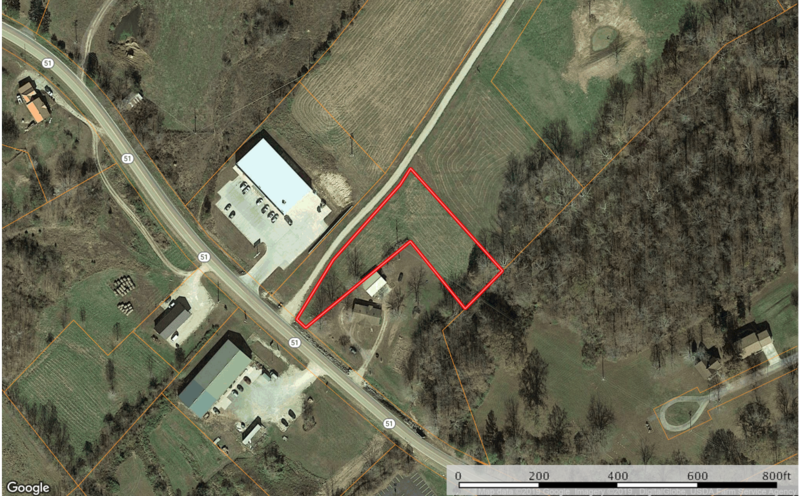 Marble Hill Missouri vacant land for sale located on State Highway 51N. A desirable location in the city limits of Marble Hill, Mo with many possibilities for a new business, investment property such as storage units, duplex/apartments, etc. This just short of an acre lot has been surveyed and is set up ready to go with city water, sewer and electric on site. This perfectly located property could also be used for a commercial store front or residential home site. Owner will consider subdividing lot, trade for livestock or possible owner financing. Kristina Barks is the daughter of Brokerage owner Dale Williams and was raised in Bollinger County, Missouri. She graduated from Meadow Heights in Patton, Missouri. After graduating she moved to Jackson, Missouri where she worked as a supervisor for a call center. She has since returned to her roots and resides in Marble Hill, Missouri with her husband Stephen Barks and their four beautiful children. Kristina loves to kayak on Caster River and take long jeep rides on back country roads. She loves being outdoors whether it's hunting, fishing, horseback riding or just playing around with friends on the farm. Kristina is a graduate from Real Estate school and one of her favorite quotes is "there is no such thing as a dumb question". So she would be more than happy to help you or answer any questions that you may have.